Highend boutique fuzz built in Mallorca, Spain. 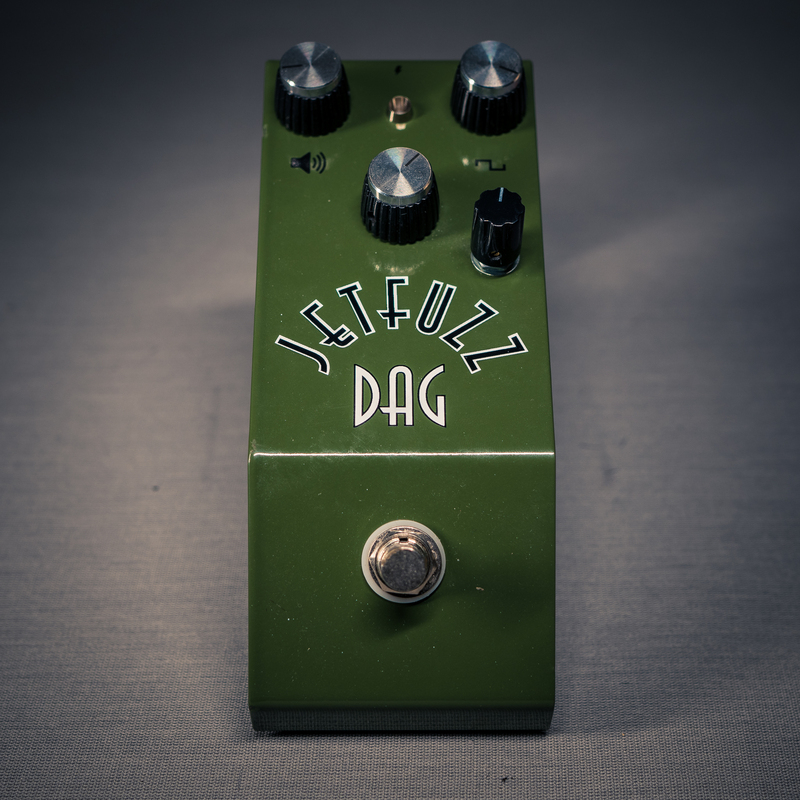 The Jetfuzz – it’s not a clone of any production pedal. Sound wise it can be described as a mix between a Muff and a Tonebender. The sound is not scooped as in a Muff good sustain and in some settings can achieve a raw chainsaw fuzz or more of a distortion sound. One of the unique features of the Jetfuzz is it’s double gain control while combining different settings you can achive different sounds from fuzz to distortion. The tone control lets you dial the desired amount of treble and bass. Volume, tone and two fuzz controls. Point to point hand wired on stripboard.